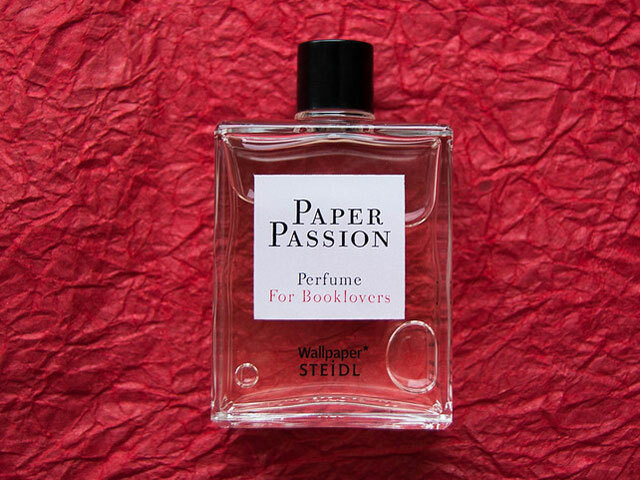 Paper Passion is a perfume formulated to smell like books, meant to appeal to booklovers. 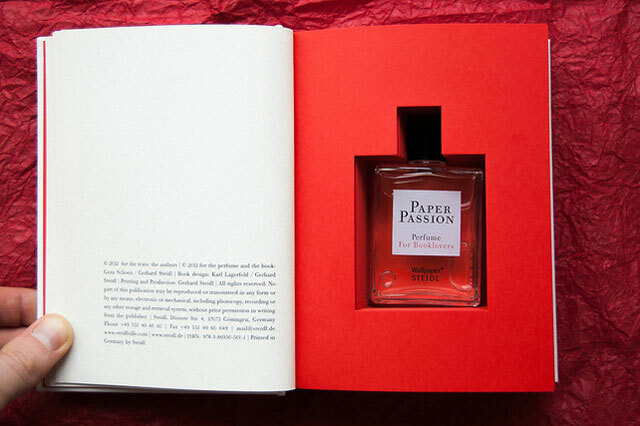 It was created by high-profile perfume designer Geza Schoen, publisher Gerhard Steidl, and Wallpaper* magazine. Its packaging, a book with a hidden spot carved out for the bottle, was designed by Karl Lagerfeld. 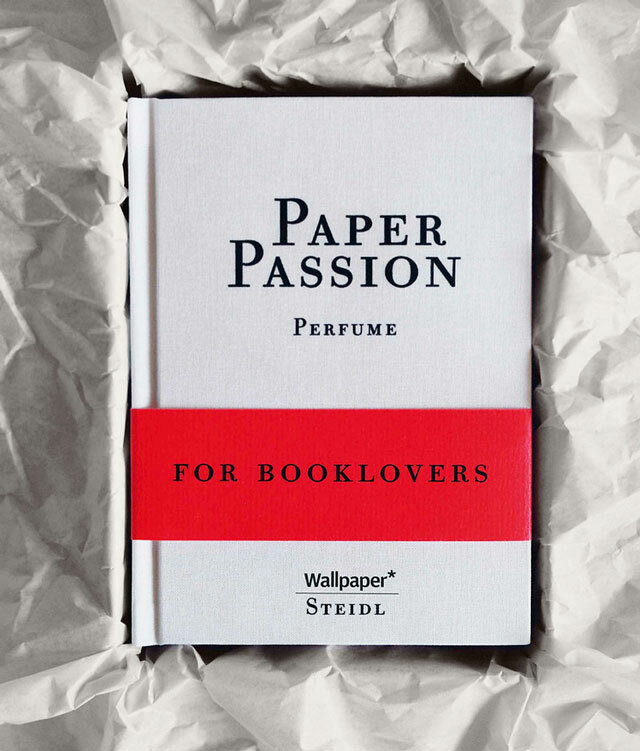 This fragrance is available to purchase online at the Steidl website.